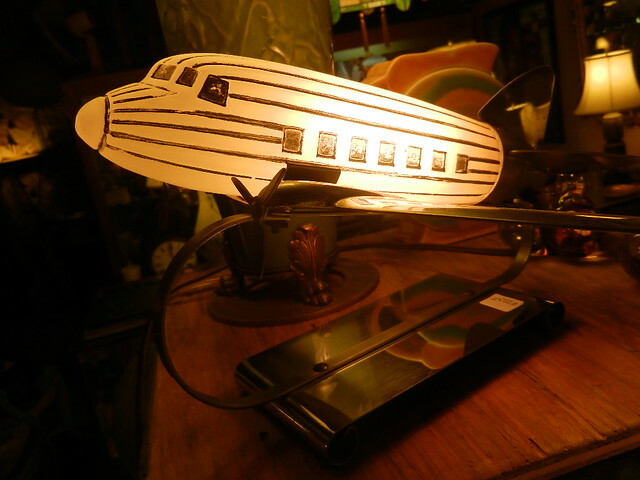 DETROIT: We got old stuff…..
There’s something really fascinating about browsing through an antique shop. When I was growing up my parents would take me to flea markets and antique stores, I’d watch their faces light up at the sight of certain items, which often had a story to go with them.Through the years Kris and I have probably visited hundreds of different shops throughout the Midwest and beyond. We never tire of the adventure of it; seeing the glasses we drank out of at my grandma’s house, the same cookie jar my favorite aunt had on the counter, the rocking chair that resembles the one my mother rocked me in, the bicycle he always wanted but his parents didn’t buy. Now we are the ones smiling and sharing a memory. I reluctantly admit, I have reached the age where I recognize far too many things. It still surprises me when I see things from my own childhood labeled as “antiques”. You never know what you will find, and that’s what makes it so much fun! 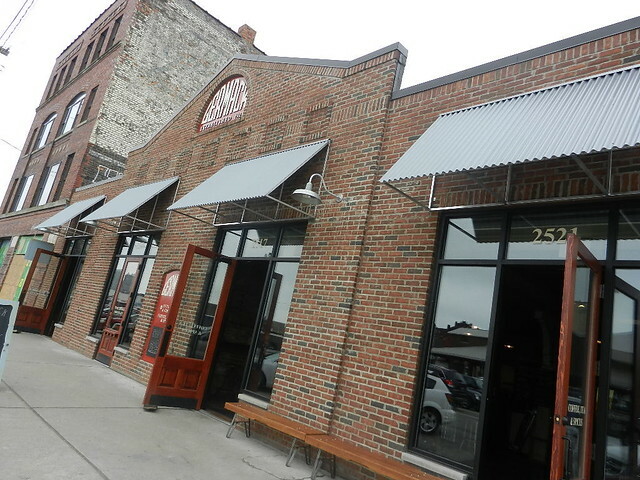 Detroit has plenty great shops; our first stop was at Eastern Market Antiques right there in the market. 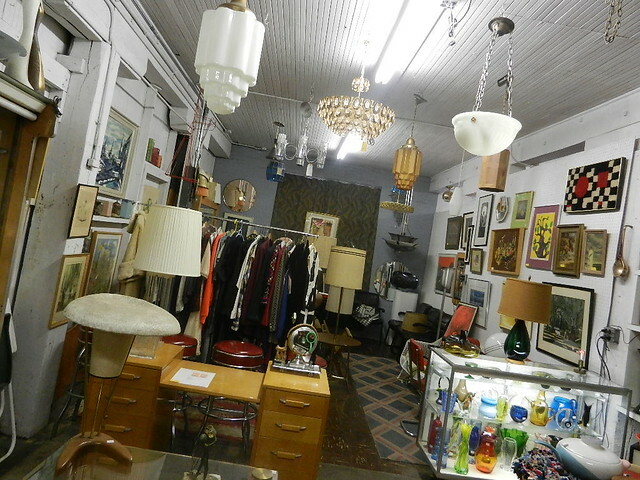 This 2-story building has about 15,000 square feet of antique, vintage and retro items. Individual dealers each have a given amount of space to display their pieces; some are arranged as individual rooms while others have things arranged on shelves and tables. Furniture, artwork, and lighting are prevalent, funky pieces like a dryer chair, globes and typewriters join the mix. 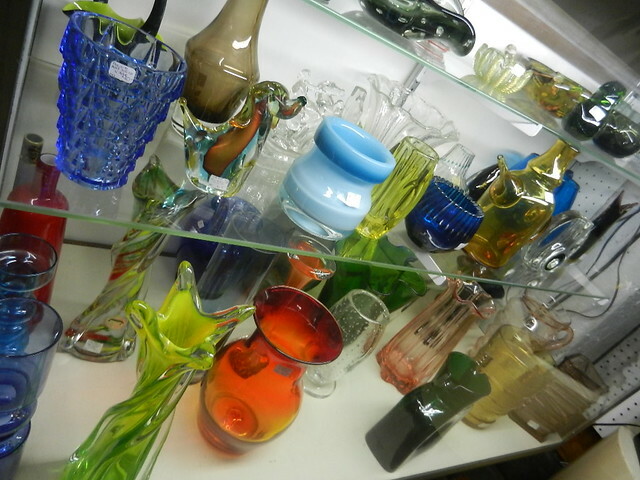 Vintage jewelry, hats, suitcases and dishes add to the variety. There’s something different each time we come, which keeps it interesting. 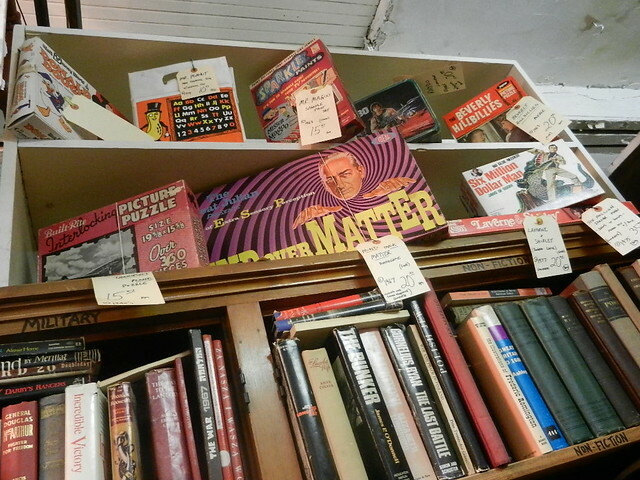 You don’t have to be a collector to enjoy a visit an antique store. We cut through Eastern Market on the way to our next stop. 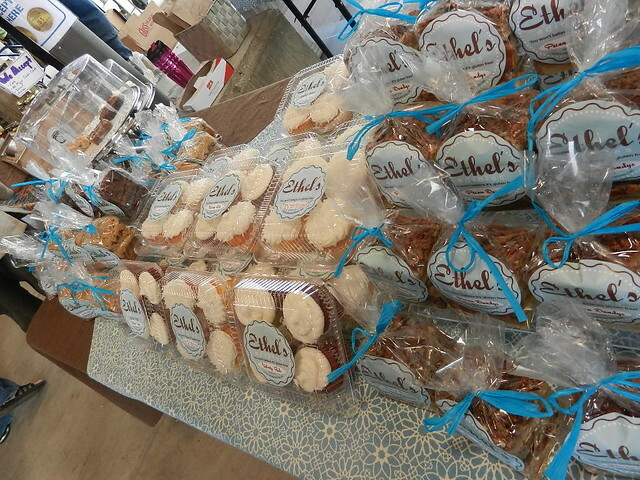 Passing through Shed 2, where the gourmet food vendors are located, we noticed a new booth: Ethel’s Edibles. On the table were beautifully packaged Gluten-Free goodies, oh, and bite-sized samples too. I had the Blondie, Kris the Pecan Dandy bar, one look at his face and I grabbed a sample of the Pecan Dandy for myself. It is absolutely the best pecan bar I have EVER had, seriously, you have to try one of these. I would also like to point out the Blondie was quite incredible too. I can only imagine how happy those who eat gluten-free must be thanks to Ethel’s. With Pecan Dandy in hand we crossed Russell St to try out Germack’s new coffee shop. 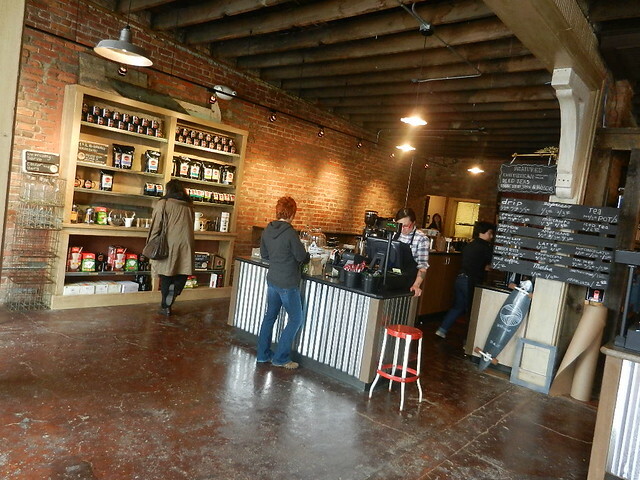 Residing in the space formerly occupied by Rafal Spice, the coffee shop is a great addition to the market. They did a marvelous job giving the space a real urban feel; brick walls, exposed beam ceiling, indirect lighting and concrete floors. The menu is posted on chalkboard slats: Drip Coffee, Espresso, French Press and Pour Over; all roasted in-house. We placed our order at the counter, glass containers offered sweet treats and a small variety of Detroit’s own Dutch Girl Donuts. While our drinks were prepared we wandered around the store, lots of yummy things on the shelves; from jams and spices to candy and sauces. We drank our delicious coffees seated at the counter watching foot traffic from the market come and go. Next door is Germack’s new location where you can still purchase all your favorite products like pistachio’s, nut mixes and nut butters. Marketplace Antiques Gallery is an unassuming storefront on Gratiot just around the corner from the market. The outside gives little indication of what you will find inside; an incredible array of gorgeous antiques. The pieces here are in perfect to near perfect condition, the collection spans the last century. 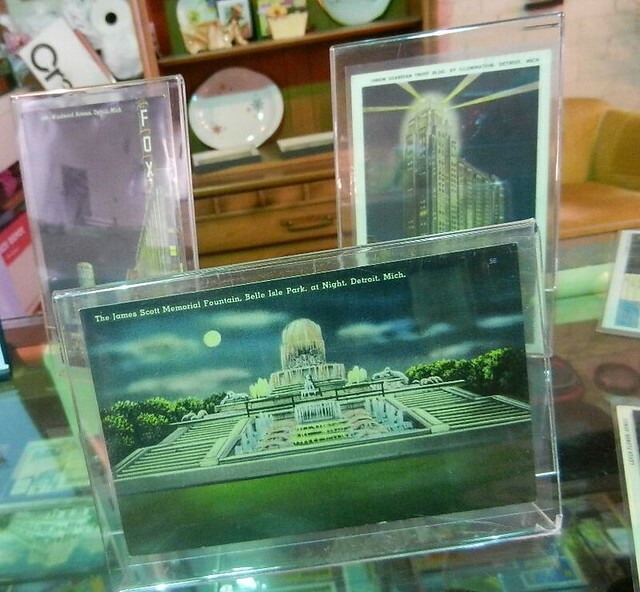 It’s almost like a museum, except you can actually purchase the items and enjoy them in your own home. Walls are adorned with paintings, sconces and decorative mirrors. Ginger jars rest atop ornate buffets, art deco and Victorian pieces co-exist on a china cabinet shelf. 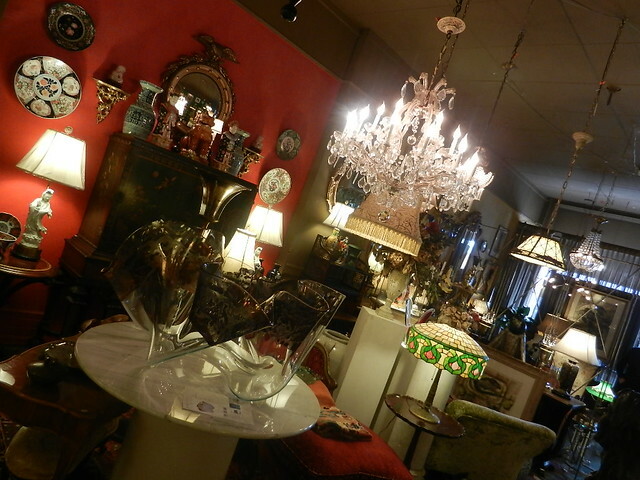 Chandeliers, oriental rugs and an impressive collection of mid-century modern objects can be found here. It’s worth a visit just to have a look at such beautiful things. Jacoby’s German Biergarten has been around since 1904, so it seemed the obvious place to go after spending the day in antique shops. The restaurant stayed in the Jacoby family from 1904 to 1995, the current owner purchased it in 2006. Adorned with window boxes, the exterior of the building is charming; the large vertical sign out front welcomes you. 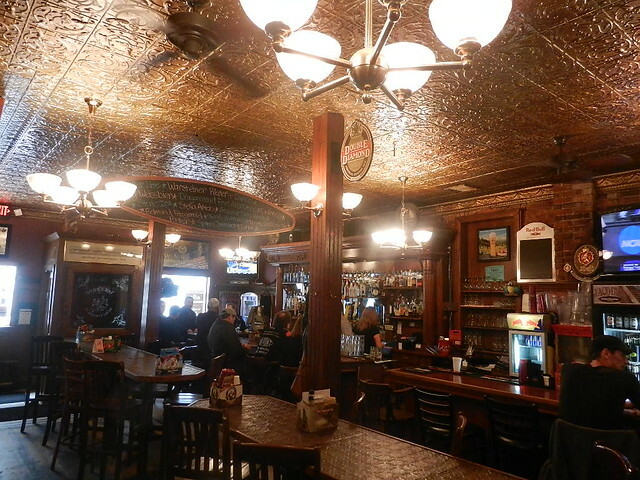 The inside doesn’t seem to have change much over the years; the original tin ceiling and woodwork give the place a bit of an old world feeling. Pictures of the Jacoby family and newspaper articles hang on the wall. The menu is mainly German dishes but also offers a nice sandwich selection. 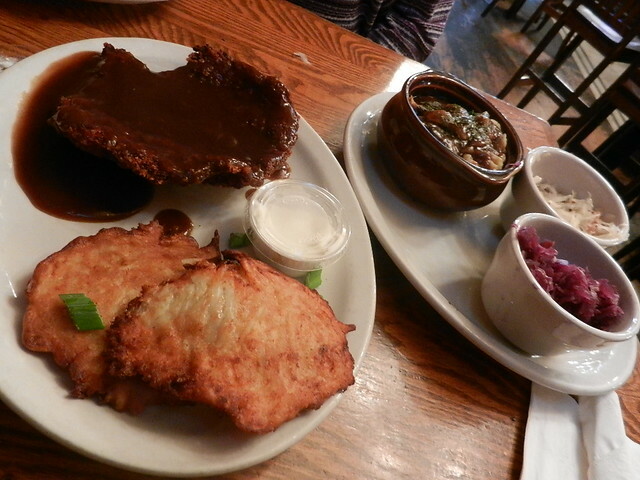 We ordered the Jaeger Schnitzle with sides of red cabbage,potato pancakes, sauerkraut, and spaetzle, all were very good. We had one more store to visit, Detroit Antiques Mall located on the service drive of the Fisher Freeway. When you get to the door you will have to be buzzed in, once inside you are free to wander. 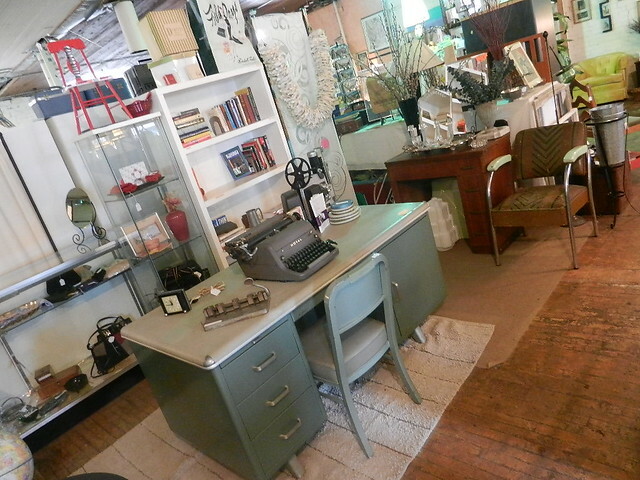 Items here range from antique to quirky, they have a bit of everything. If you are looking for things like doorknobs and hinges, windows and doors, this is a great place to start. 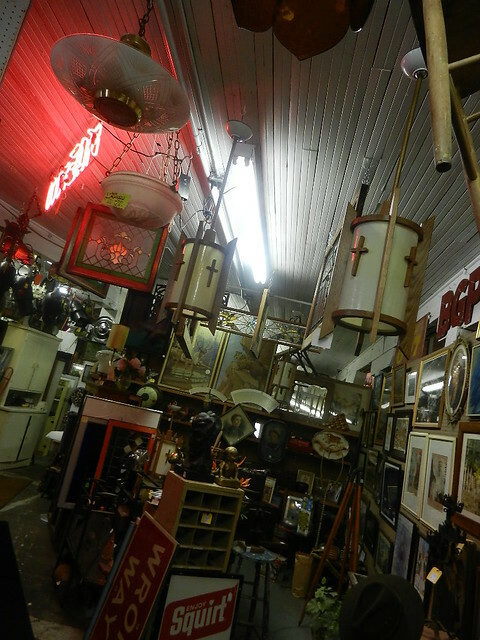 The second floor is devoted mostly to architectural salvage items. I love these kinds of stores because each time you come there is something new to see. Next time you’re in the mood to do a little window shopping check out one or all of these marvelous shops.